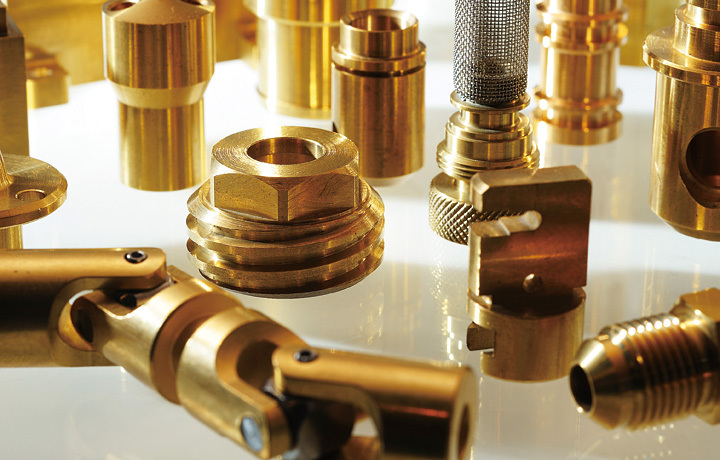 Processing industrial machine components is the mainstay of our business. It is crucial for refining our basic technology. We have many clients such as vehicle and heater manufacturers that we provide components to. We have established multiple processing techniques including machine processing, press working, welding and wire processing. Furthermore, we have 24-hour production system which enables us to produce in high cost-performance and to deliver in a speedy manner. We engage in a continuous effort to improve our business as a whole starting from efficient management of production control, to increase trust from our customers. Examples of our industrial machine component products. We can comply with clients’ increasingly demanding request using our collection of latest processing machines such as NC lathes and machining centers. We consider the processing of industrial machine components our mainstay because accumulated knowledge in this business could be applied to other branches of the company.